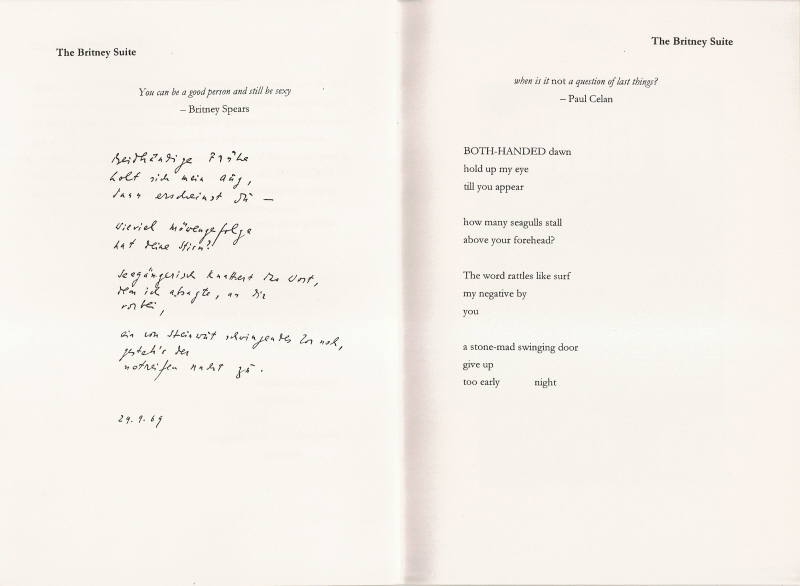 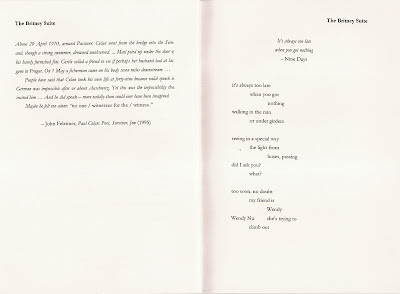 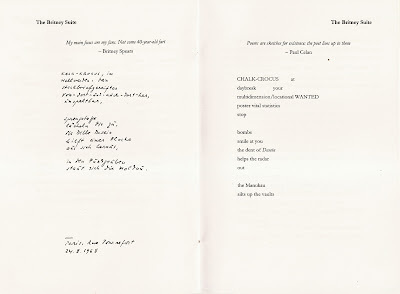 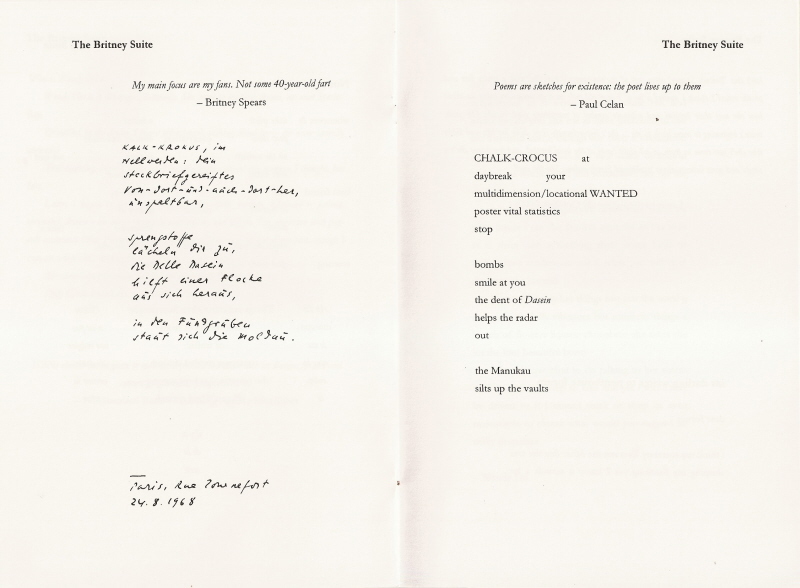 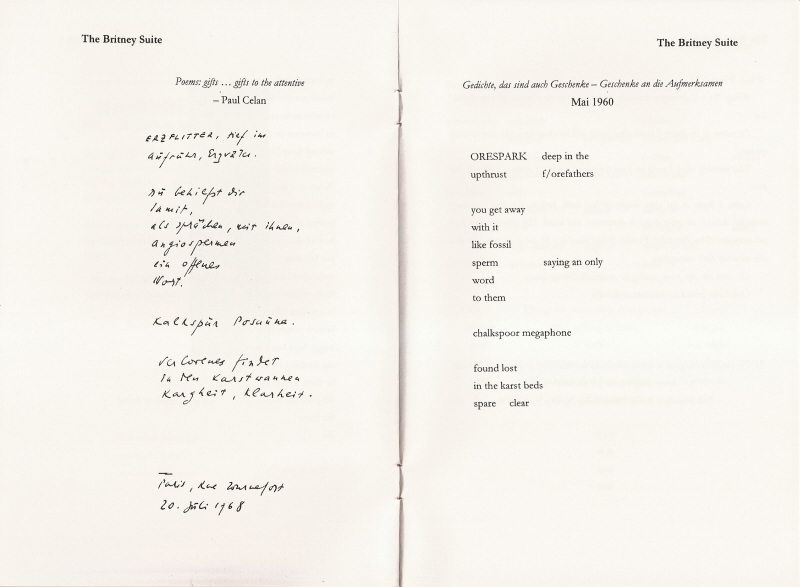 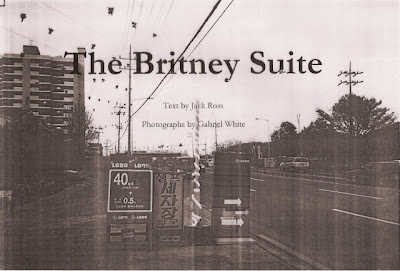 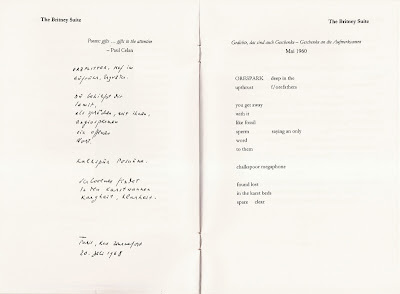 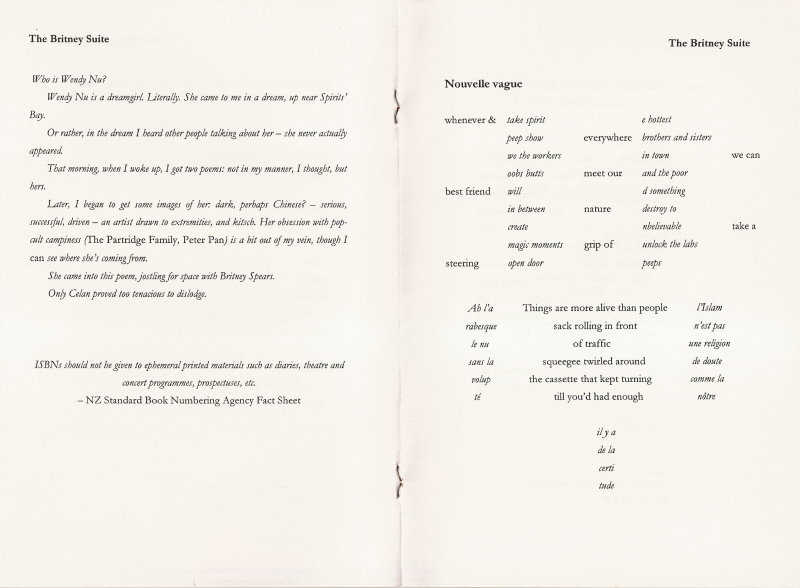 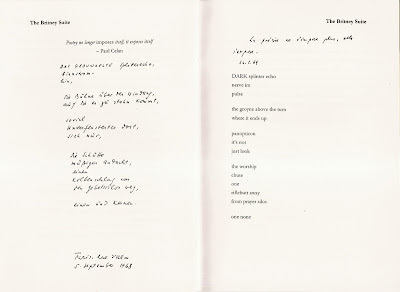 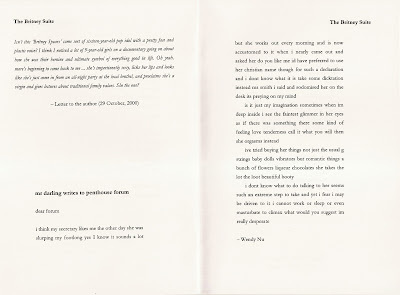 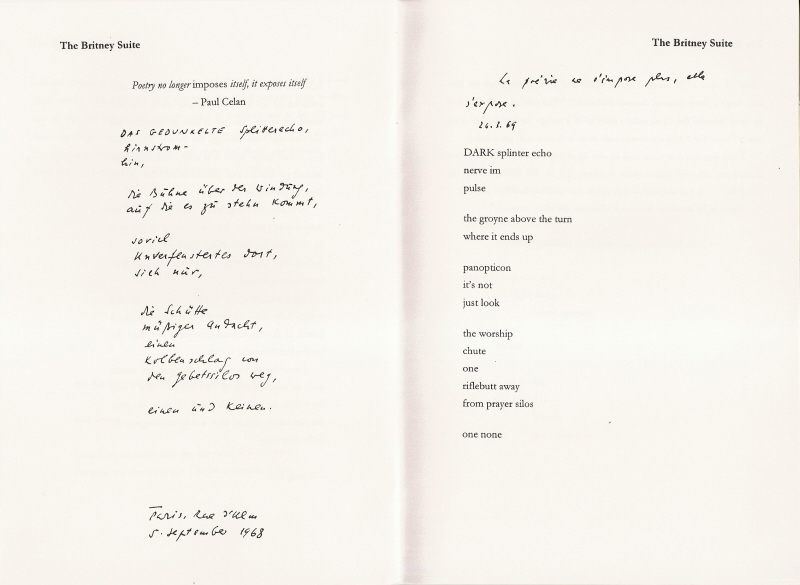 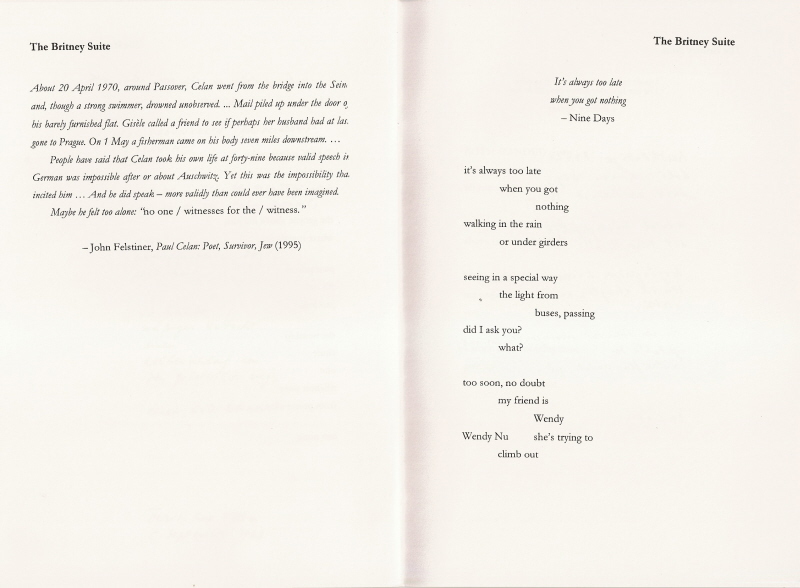 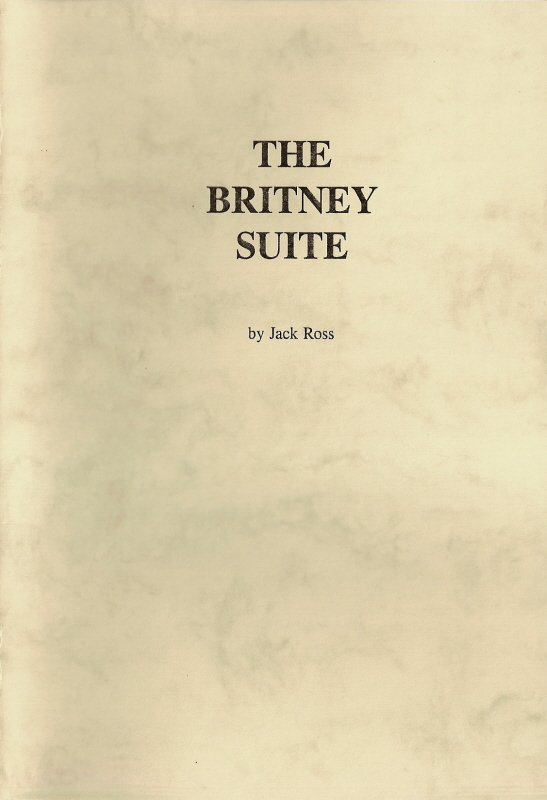 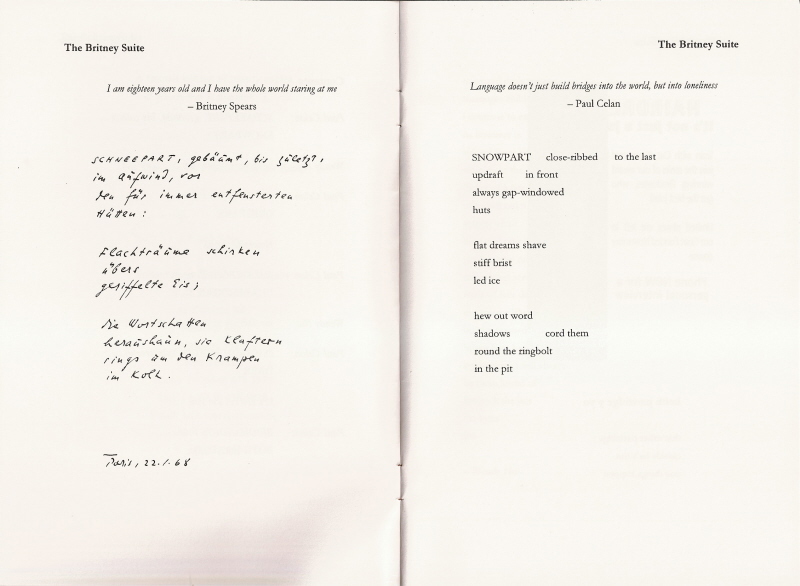 The Britney Suite, by Paul Celan, Wendy Nu & Jack Ross. 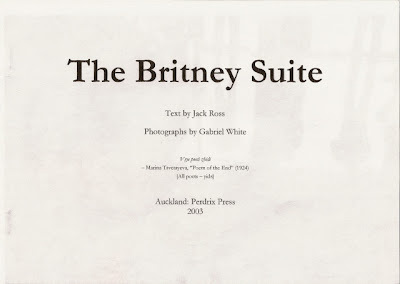 Auckland: Perdrix Press, July 2003. 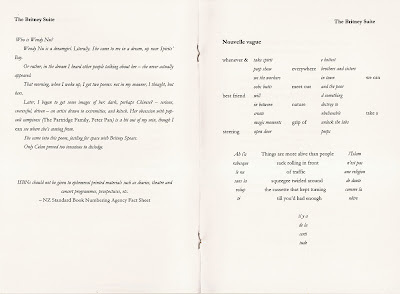 60 pp. 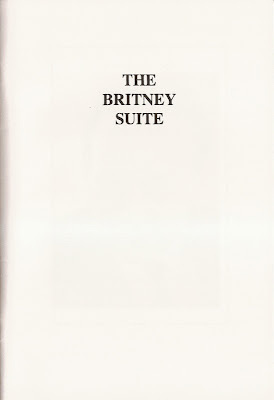 [gift edition]. 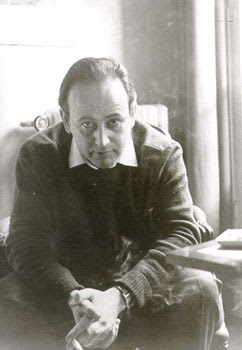 Nick Alexander. 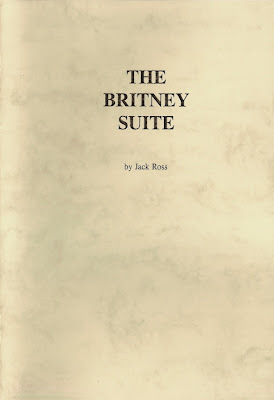 "Jack Ross reading (13 March 2001)." 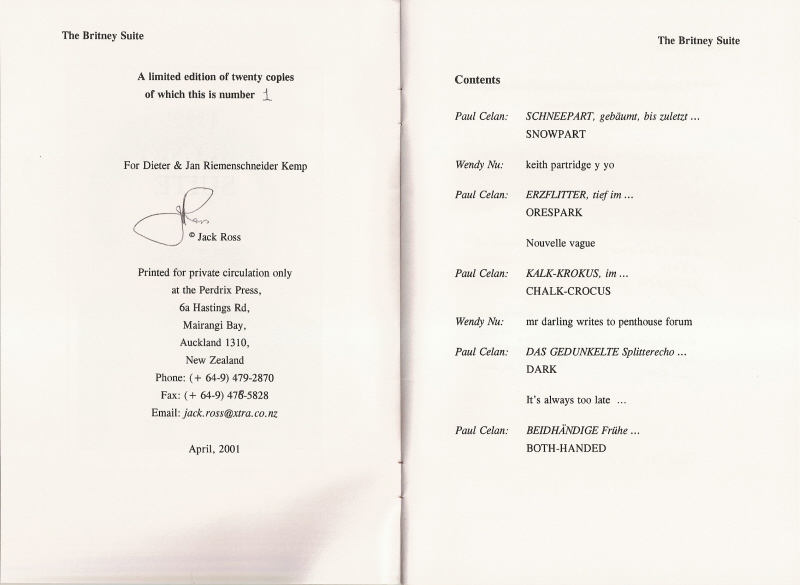 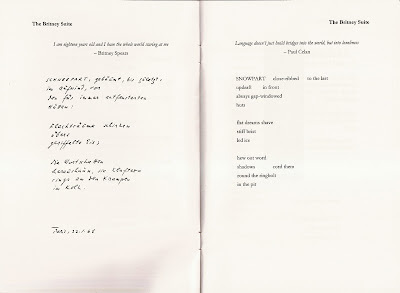 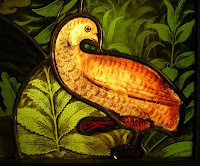 Auckland Poetry Website [http://nicholasalexander.com/nda/poetry/aklive/reviews.html] (12/4/01). 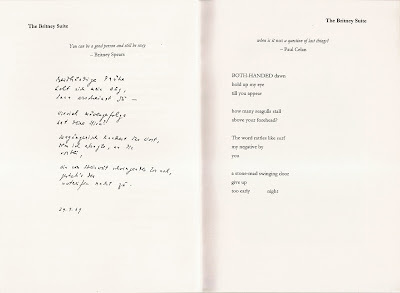 Jack Ross has the credentials of a modernist, complete with German quotes translating the lines of the poem into a second voice, a second set of meanings, reminiscent of Eliot. 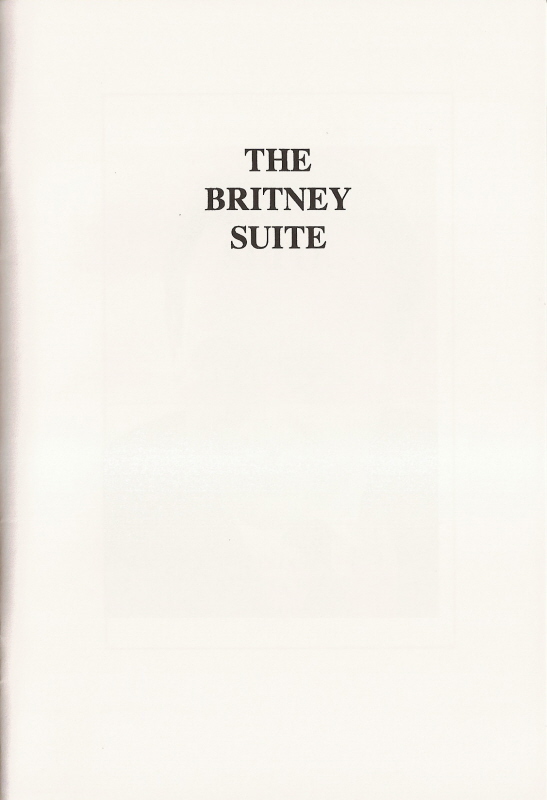 Exalting Britney Spears and her pouting sexuality seems dangerous ground. 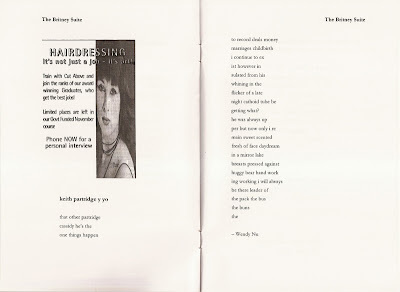 Indeed there were sighs/groans as Jack sellotaped her image behind himself as a very unremarkable diminutive ghetto blaster provided a near complete absence of atmosphere – technical infancy maybe but the poetry was certainly riveting stuff. 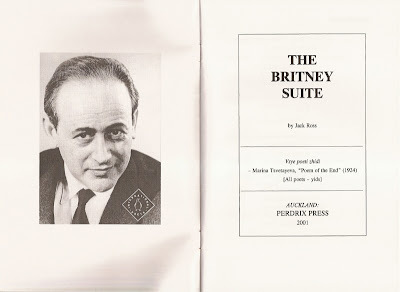 An engaging and interesting reading and parody of multimedia. 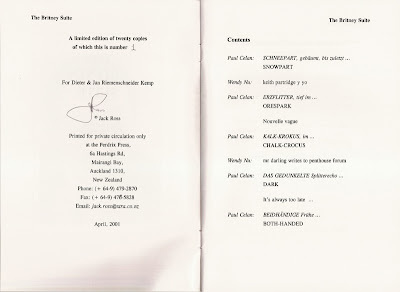 As the NASDAQ bleeds, we may get excited over photocopies to provide a raw visual excitement.